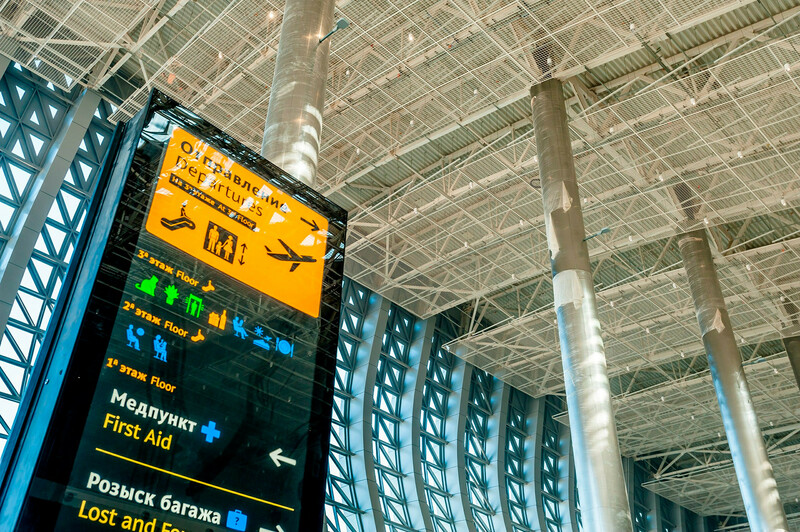 The new airport can handle 6.5 million passengers a year, potentially rising to 10 million in the long term. 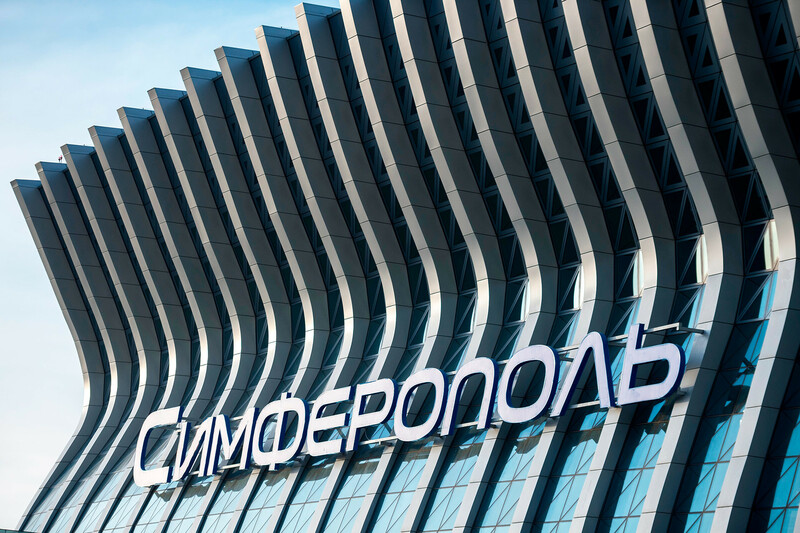 Starting April 16, a brand-new terminal at Crimea’s Simferopol International Airport will welcome guests. 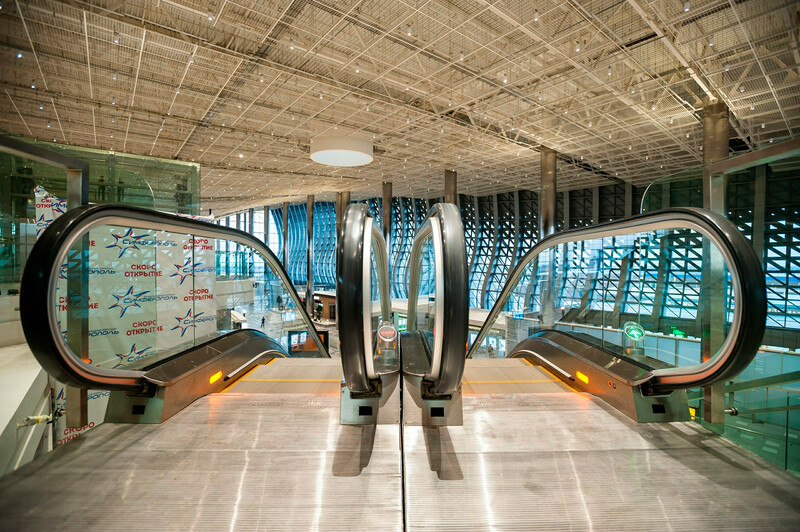 Finished in a record-breaking 22 months, the new terminal aims to handle 6.5 million passengers a year, replacing the old terminal that has struggled to cope with increased passenger traffic since 2014. 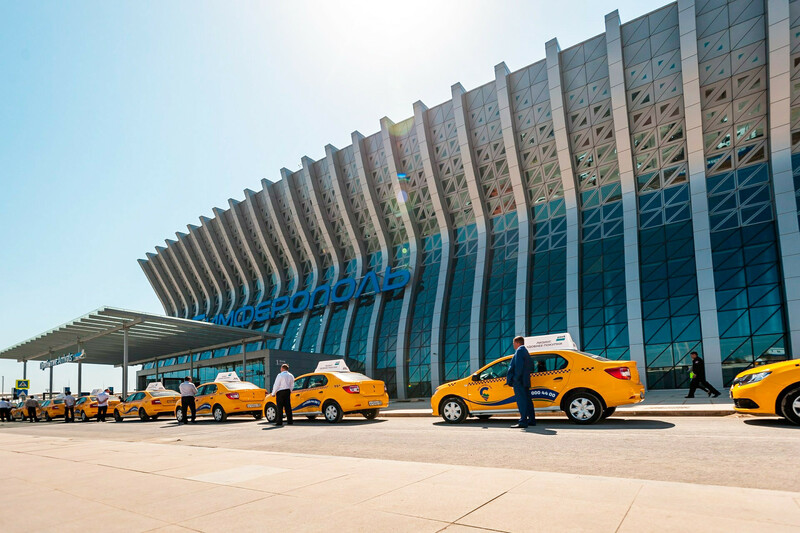 Last year the old terminal served 5.1 million passengers. 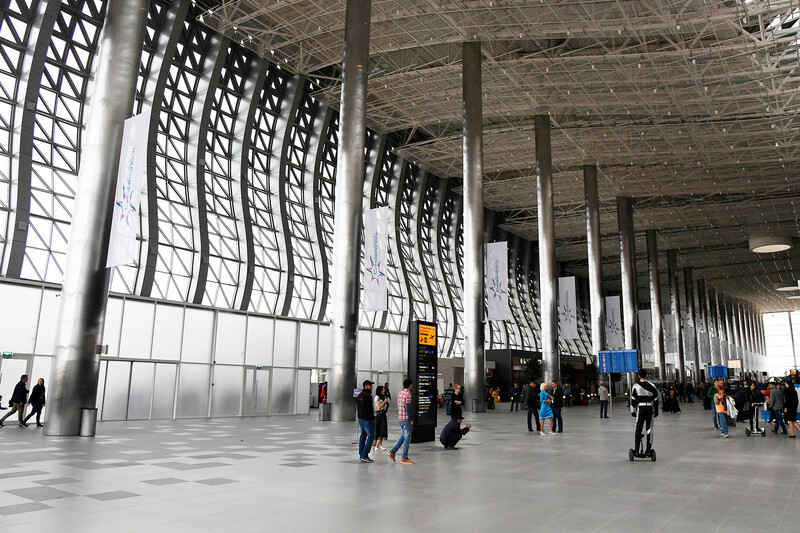 The new terminal is three times bigger than the old one and is now the largest airport in the country’s south. 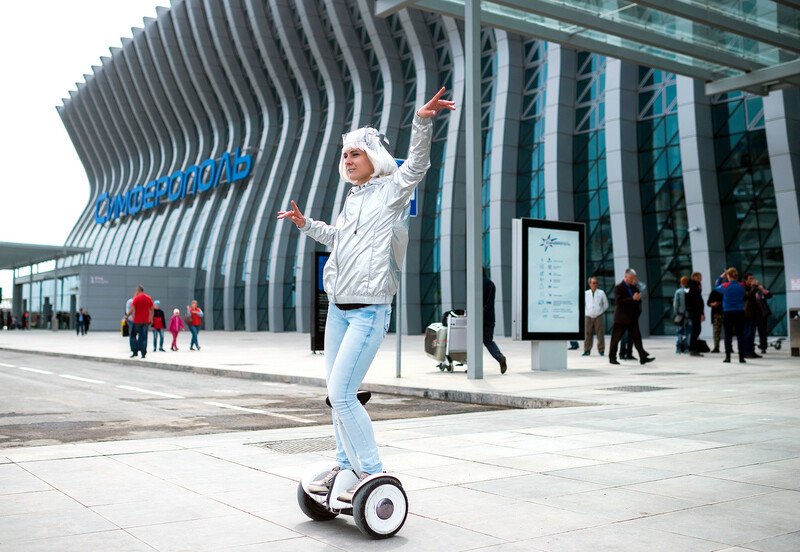 Located next to Ukromnoye village, 5 km away from the old terminal and 14 km away from the city, the new terminal covers an area of 78,000 sq meters and on the outside looks like one big wave. The design is the result of work by South Korean bureau Samoo Architects & Engineers, which drew inspiration from Crimea’s stunning nature and decided to make it a key theme in their project. Overall, around 7,000 tons of metal was used in the construction. Just to compare, that is just 300 tons less than was used for the construction of the Eiffel Tower in Paris. 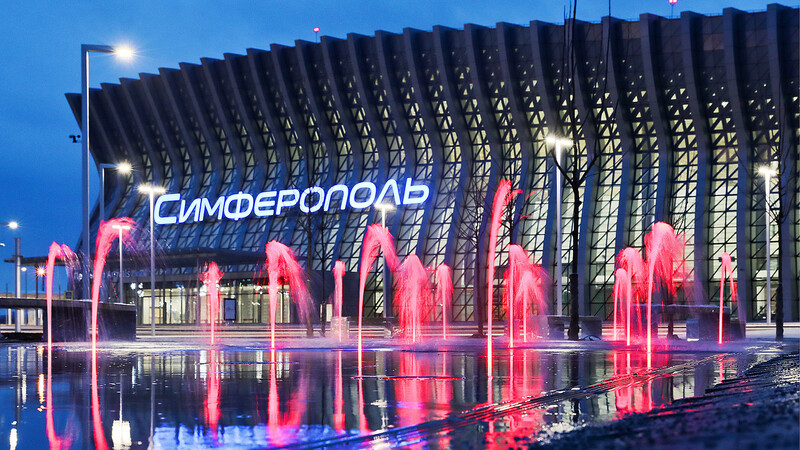 It took 32 billion rubles ($520 million) to transform a place that formerly hosted a poppy field into a modern airport terminal. Around 30 percent of the costs were funded by private investors, and the rest by the state. 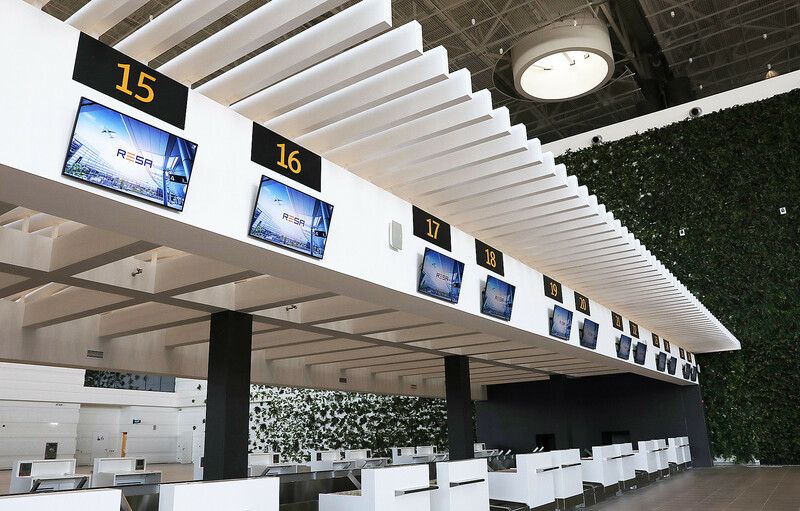 On the inside, the new terminal features 55 check-in counters, eight jet bridges and eight standard gates, plus 16 moving staircases and 28 elevators. 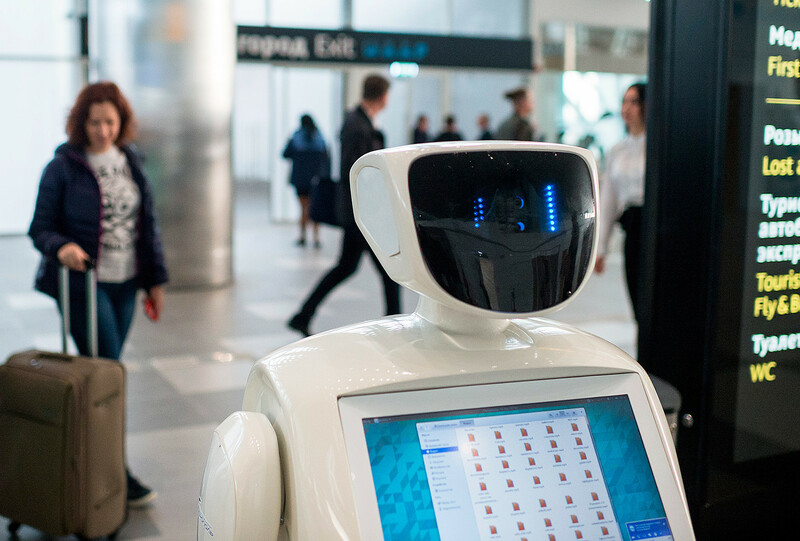 Everything looks quite modern and light with plenty of space for everything a contemporary airport should offer, including restaurants, cafes, shops and entertainment. 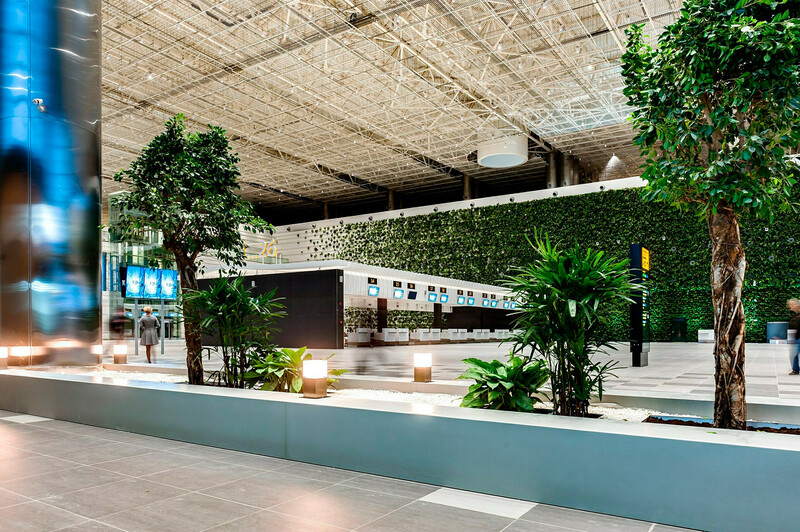 But the real point of attraction for everyone arriving or departing will surely be the gigantic green wall, reportedly the largest indoor plant structure in Europe covering 1,600 square meters. The wall is 15 meters high and 110 meters wide with living and artificial plants – but the designers promise that you won’t be able to tell them apart! Since 2014, Russia has been working on another monumental project on the peninsula - the Crimean bridge. Here are 10 facts about it. 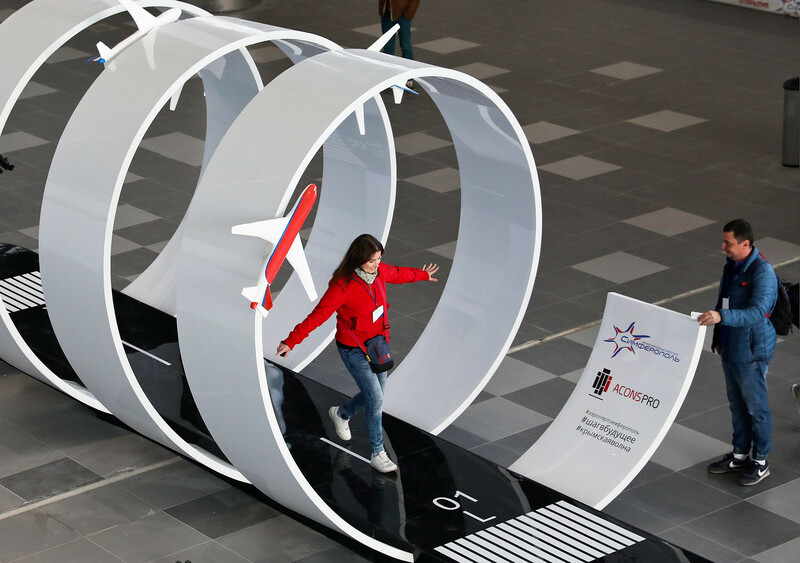 Will Russia keep its position as the world’s leading energy exporter?